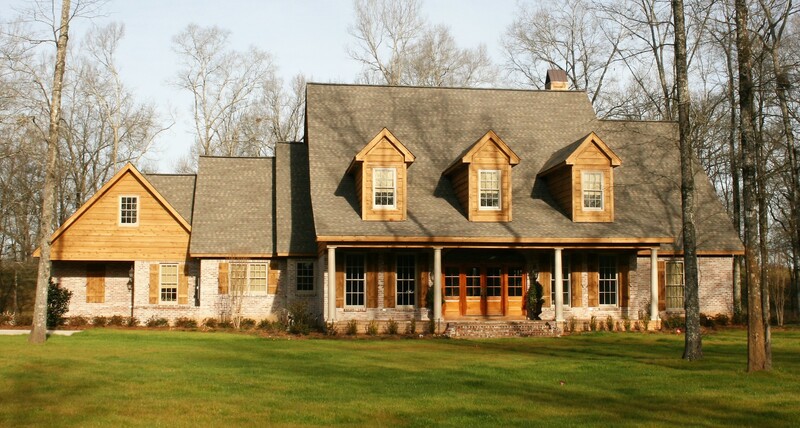 This custom home sits deep on a grassy lot and boasts a beautiful brick and cedar façade. Since the property runs along the levee, the home has a post-tension slab to provide further stability to the foundation. 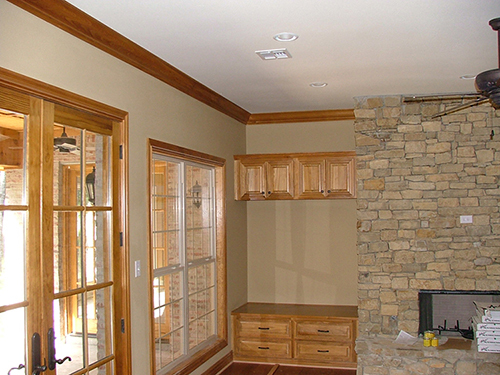 An extensive amount of brick work details various interior areas of the home. 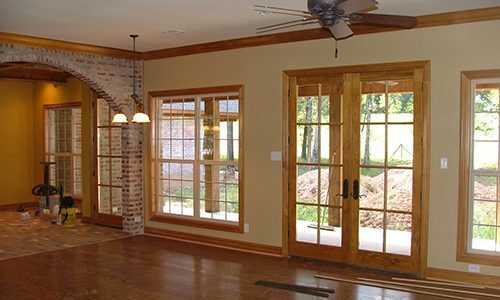 From the fireplace to arched openings, much thought was given to the design aspects surrounding the clients’ desire for added masonry. 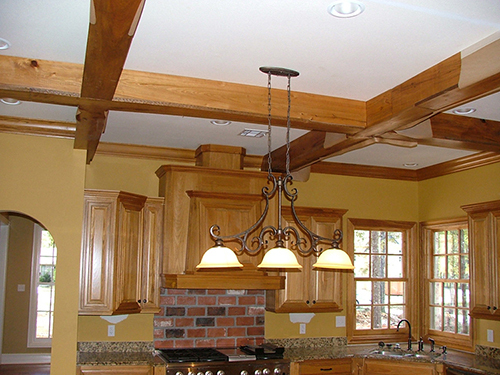 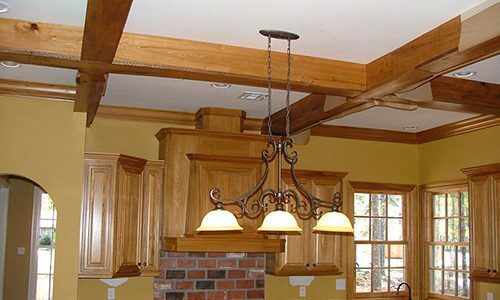 An open floor plan allows the wood of the box beams in the kitchen to flow to the living and dining areas. 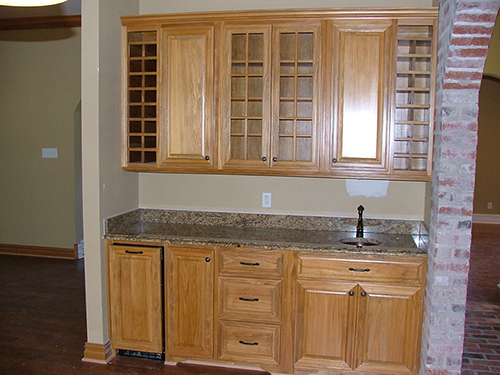 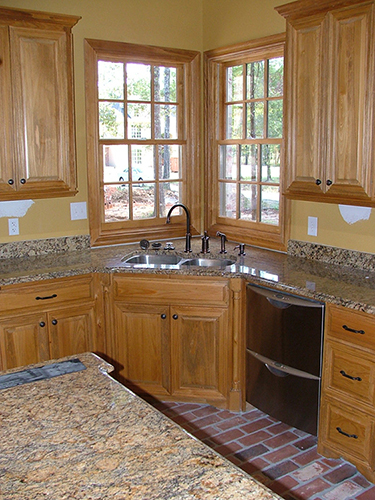 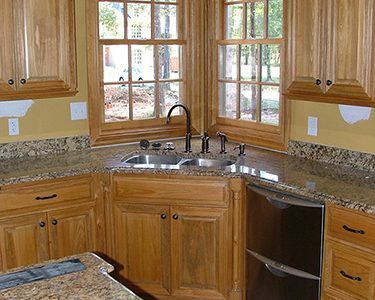 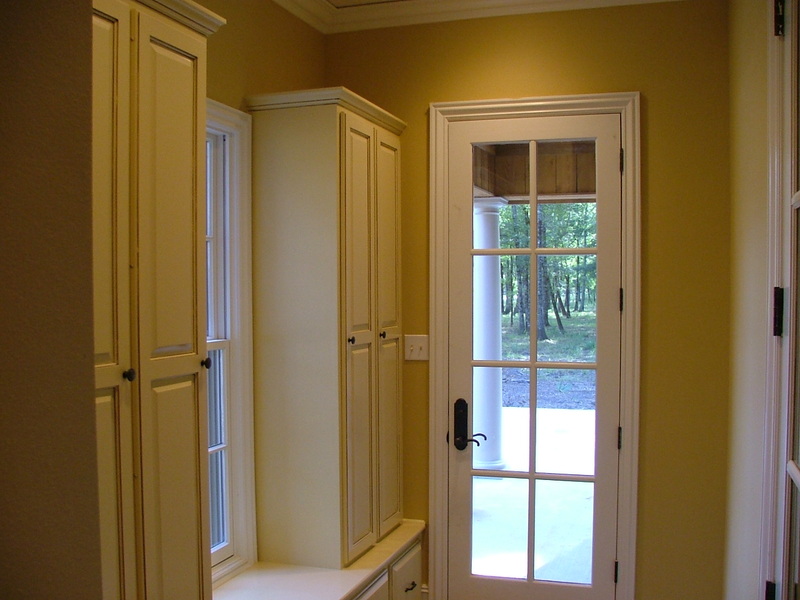 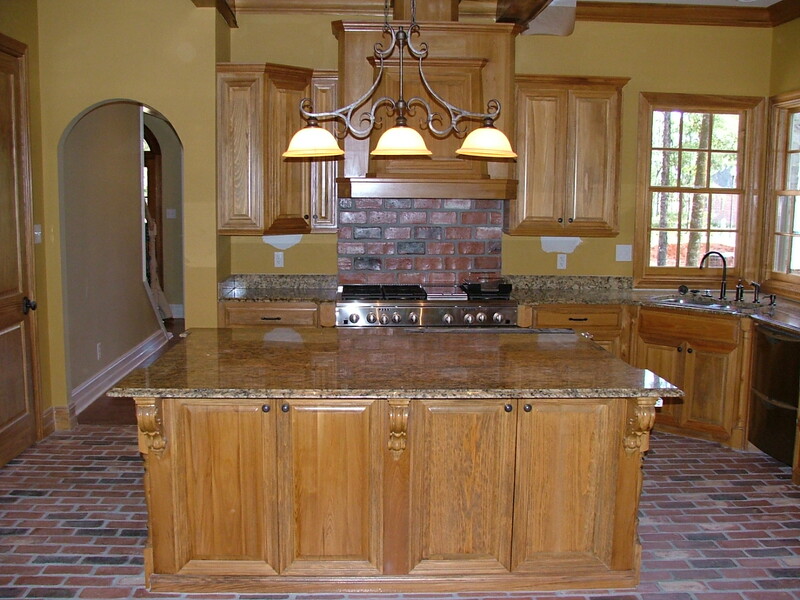 Custom cabinetry graces nearly every room to provide a continuity in design throughout the home. 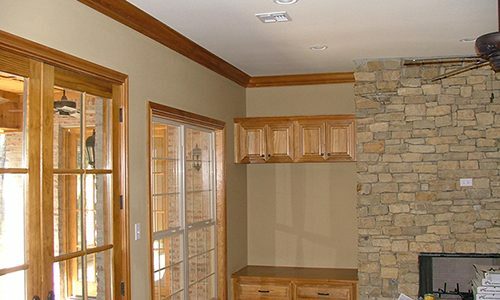 As the initial home plans did not include an outdoor kitchen and living area, Eddie accommodated the clients’ needs by extending the back of the garage. 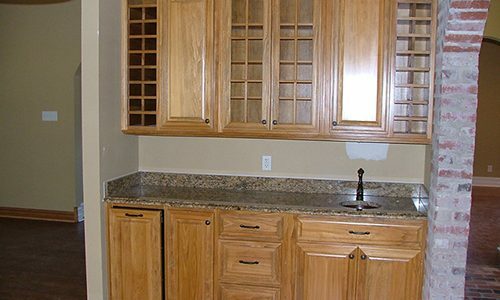 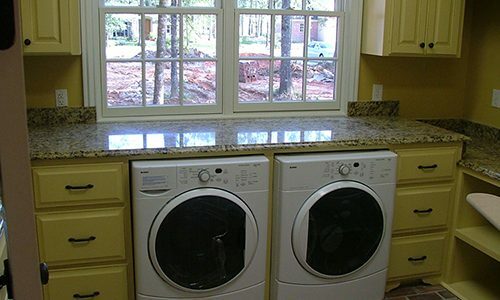 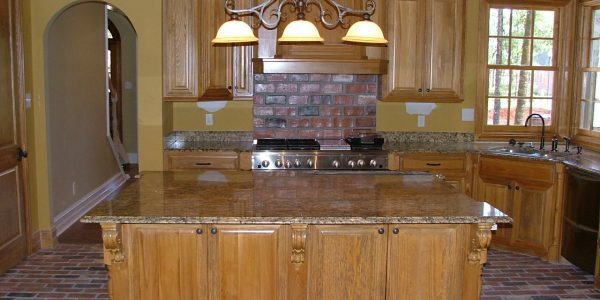 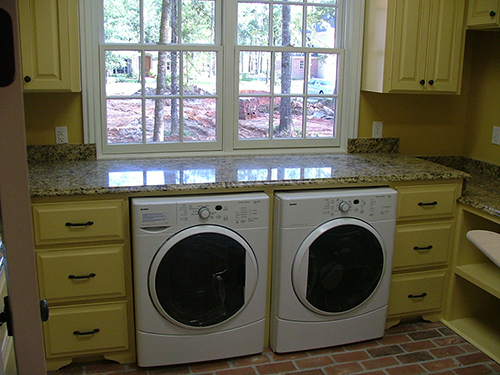 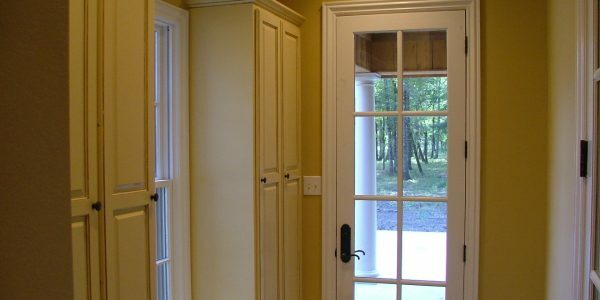 This new area became the clients’ favorite part of their home. 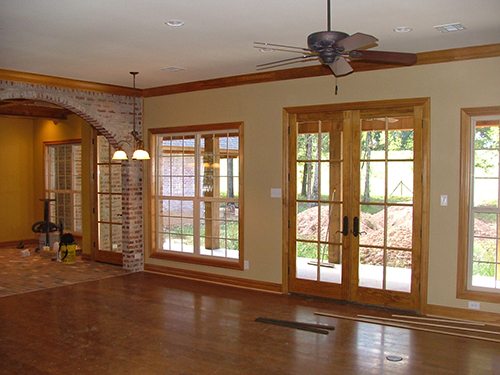 A high vaulted ceiling provides a large covered area which contains a custom kitchen, TV, and plenty of seating.